My latest book “1943” is now available. This one is very different from my previous Catahoula Series, which was historical fiction with strong romantic overtones, especially in the first two books. 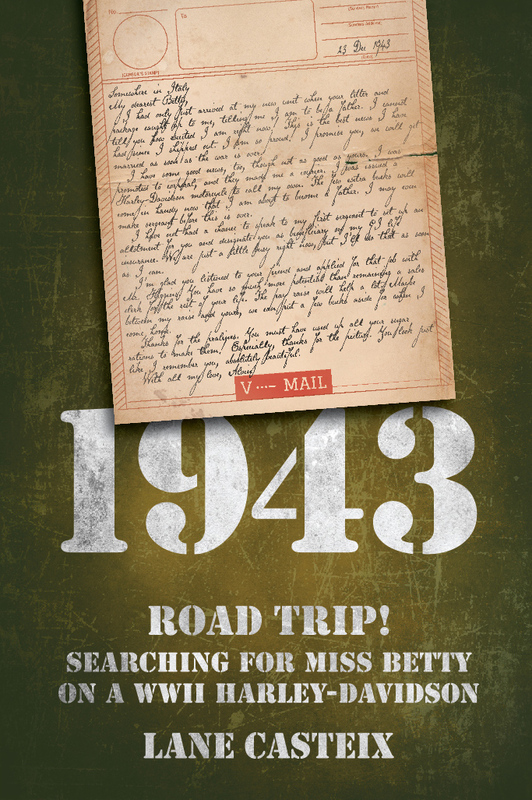 “1943” takes place in contemporary times and is a romantic comedy, road trip, mystery, action/adventure story. The story blurb is below. During restoration of an old Harley-Davidson WLA Liberator motorcycle from WWII, Mac’s friend finds a faded photo of a beautiful young woman that was taken during the war and a never completed V-Mail letter that was written to her by her fiancé, a soldier serving somewhere in Italy in 1943. Knowing only the couple’s first names, Betty and Alvin, and with the letter, the photo, and the old motorcycle the only clues to go on, Mac and Pug set out to solve a seventy-year-old mystery. That leads them on a cross-country journey on the old Harley as they go in search of “Miss Betty.” Along the way the unlikely pair encounter some unusual new friends and find themselves in some unexpected, sometimes dangerous, and often humorous situations. In the process, Mac discovers there is indeed new life (and love) after a death. For Amazon Kindle Unlimited members, the digital version is available FREE here. Regular price is $4.99 for non-Kindle Unlimited members. The paperback is also available at the same link or at Create Space. Comments Off on 1943 is LIVE!